My work is inspired by the Australian landscape. The canvas and clay surface offer me a platform to communicate my strong connection to nature. 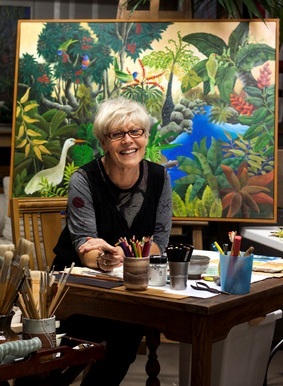 In my paintings I depict the magical colours of the tropics and the vivid flora and fauna of the rainforests. Painting for me is a natural, intimate process; my artworks evoke happiness and provide a respite from daily stress. If you would like to read more, please follow the link to this site.